Today's card is another "all purpose" one that I made for a friend. I used We Are Memory Keepers Antique Doily die; Memory Box Vivienne Butterfly die; Stampin' Up Teeny Tiny Wishes sentiment stamp. The oval die used on the sentiment is from a "no name" cheapie set purchased on Amazon, made in China. The butterfly is adorned with half pearls, as well as three half pearls sprinkled on the bottom portion of the card. 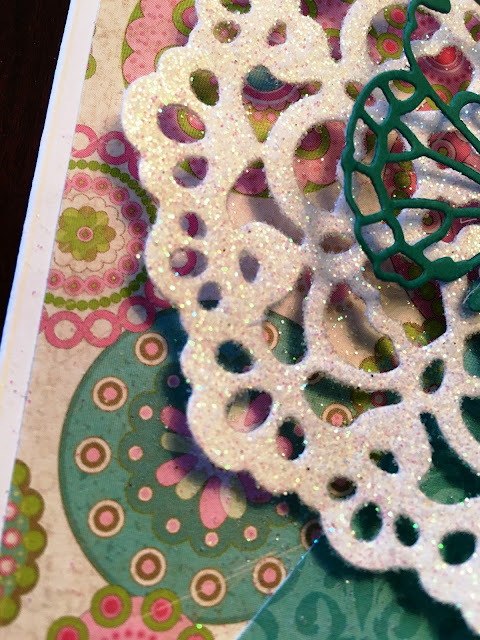 Lots of glitter on the doily! That doily is gorgeous. I love all the sparkle! Thanks for playing along with us at 613 Avenue Create. Gorgeous card. Love the combination of DP and beautiful dies. Thanks for sharing with us at Creative Moment. wow Very nice. Thanks for joining us at Crafty Friends. Beautiful card, love the butterfly and design! 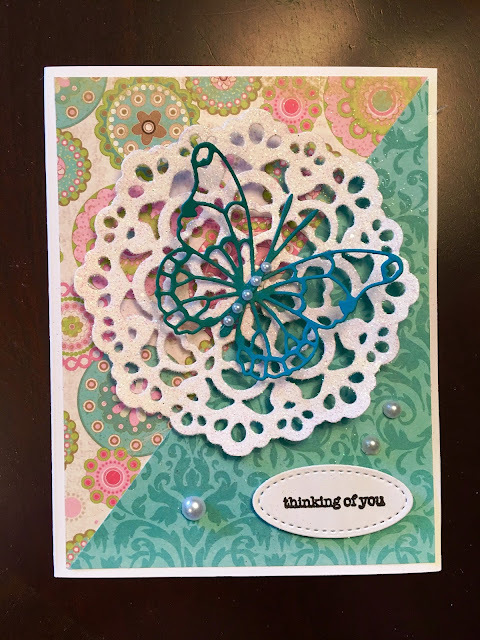 Thank you for sharing with us over at Love To Craft! Hope to see you again! Such lovely colours you chose. Thanks for sharing this with us at Craftyhazelnuts patterned paper challenge in November. Sorry I am a little late commenting. But better later than never?